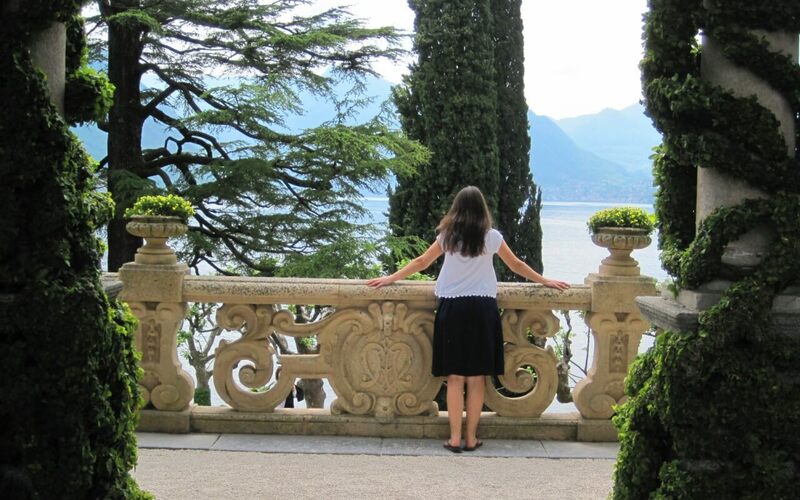 Live a memorable experience discovering the history, the romance, the breathtaking scenery and the culinary side of the Italian Riviera and Lake Como. This is a special trip where you'll explore Portofino, Camogli, Genoa old town, the Cinque Terre picturesque villages till reaching Bellagio and Varenna. You'll meet local producers, have lunch in a michelin restaurant and much more! A trip created for those who want to experience the charm of Liguria and Lake Como in one trip. You'll find breathtaking scenery, unique history, divine food and wine, romance and much more! Today is your arrival day. Benvenuto! Check-in at your boutique accommodation. Relax after a long trip and start feeling the Italian atmosphere! 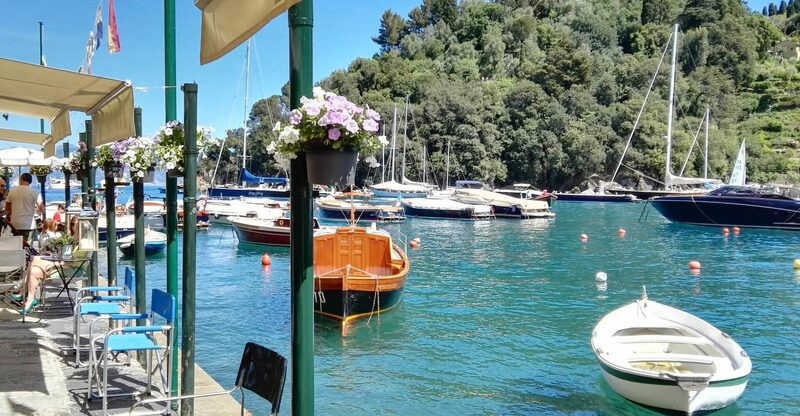 Your private guide will pick you up at the hotel to start an amazing tour of one of the best areas of the Italian Riviera, around the Portofino promontory. You will fall in love with the picture perfect village of Camogli with its row of tall and colorful houses lined up along the beach and the small port. Here you will stop to taste the famous Focaccia in one of our preferred places. You’ll never forget that crispy and soft special bread! From Camogli you’ll start a panoramic trip by public boat* around the Portofino promontory with its lush vegetation and strange rocks plunging into deep blue water. You will reach San Fruttuoso, a magical place with just a Medieval abbey built right on the pebble beach. Here you can even take a dip in the crystal clear water or grab a cone of fried fish, delicious! Then take again the ferry to Portofino. 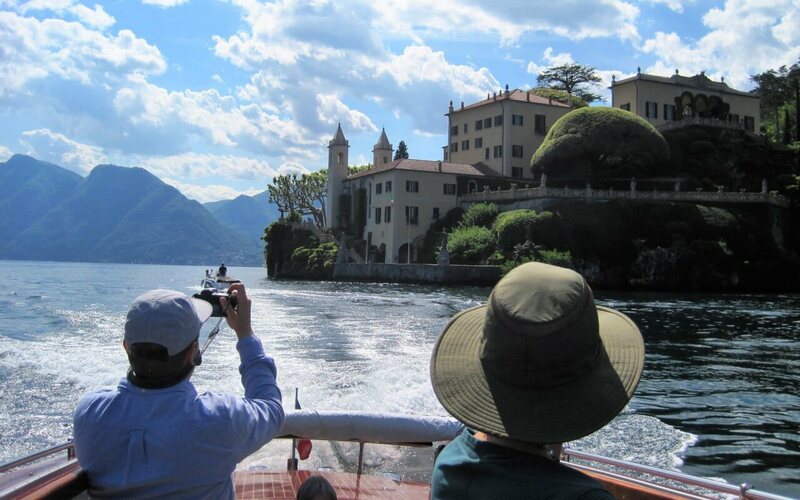 Arriving in Portofino by boat will let you admire the best view of the village. Take a stroll in the famous piazzetta (small square), among luxury yachts and glittering boutiques and then you can reach the castle and the beautiful church of St. George, perched on the rocks. 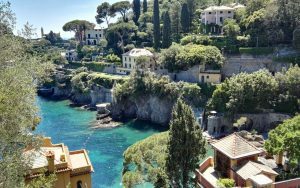 From Portofino you will reach by boat the elegant coastal resort of Santa Margherita with its painted palaces and lovely harbor. * in case of bad weather or sea conditions or off-season periods ferries may not run and you will use trains but it will not be possible to reach San Fruttuoso. After breakfast, meet your private guide and reach the Cinque Terre area. Today you will take an authentic tour of the picturesque villages. Exploring the hamlets with an insider will make a difference since you will get in touch with the authentic soul of these lovely villages, we’ll navigate you away from crowds and tourist traps. You will discover secret corners and the best places to take amazing pictures. To understand the real essence of Cinque Terre, your experience continues visiting the amazing vineyards overlooking the sea. A local wine producer will welcome you in his vertical vineyards: you will hear about his story and discover the huge job there’s behind the heroic wine of Cinque Terre. After admiring the breathtaking panorama you will visit his ancient cellar and taste the most typical Cinque Terre wines among which the rare Sciacchetrà, paired with traditional appetizers. After breakfast, meet your tour guide in Genoa old town. Today you'll ejoy a great morning in the biggest food market of Genoa. You will be captured by the smell of fresh focaccia, by the various cheese stalls, meat stalls, bakeries, shops that sell handmade pasta, fresh fish, fruits and vegetables in season. This colorful market is a food lover’s paradise! You’ll then take a walk along the medieval alleyways “carrugi”, stopping in the squares and in the renaissance streets of the historical town. You’ll hear about stories which talks about how the richest Genoese medieval merchant families have been transformed into families of important bankers during the past centuries. Then, a local culinary expert will welcome you to participate to a pesto sauce lesson with mortar and pestle, just as the tradition wants. After the pesto lesson you will enjoy a ligurian lunch with typical specialties! Welcome to Lake Como. Check-in at your boutique hotel which has a memorable view of the Lake. *this small group tour (max 14 people) is available Tuesdays, Thursdays, Saturdays and Sundays. After breakfast, you'll experience a 2 hour and half private guided walk through the old town and its enchanting surroundings. 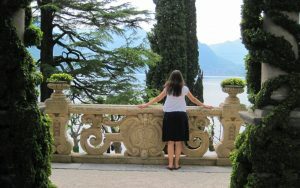 Then, you'll have lunch at a Michelin listed lakefront restaurant a few steps away from the magnificent gardens of Villa Melzi. This is a private trip idea and can be fully customized. Daily departures available all year round by request. This trip is not suitable for people with mobility problems. Price for this trip starts from Euro 2900 per person. The price shown is designed to provide you with a broad indication of how much to budget for your trip. Since this is a tailor made trip, there are a number of factors which will influence the price; these include the standard of accommodation, the season, the mean of transportation you prefer, the number of private tours and activities. Feel free to ask for a customized quote, fill the form below. Do you like the sound of this trip?